CHARLESTON, WV — Today, the Manchin campaign released a polling memo that shows U.S. 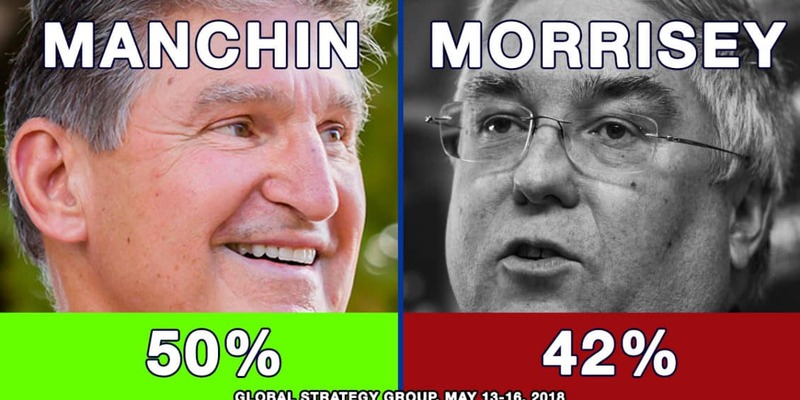 Senator Joe Manchin leading Attorney General Patrick Morrisey by 8 points, 50% to 42%. Manchin is viewed favorably by 51% of West Virginia voters, while Morrisey is viewed favorably by just 36% of voters.